“The way of the heart is the foundation of this book, a cookbook for body & soul. When we listen with our hearts, we hear the way to our personal nourishment. And if we follow our hearts in the way of food, we will be nourished. A plate of food has a story to tell and its story touches us, moves us, fills us. I have talked with many people during the creation of this book and, without exception, when they begin to remember and relate their memories, feelings and thoughts about the recipes they are sharing, a light appears on their countenances and a lilt frames their voices. How can that not be nourishment? Everything I Eat Nourishes Me, A Cookbook for Body & Soul is a book about love and food, trust and nourishment, and the stories around the recipes we create. It is a self-care book that will allow your own experience of foods and cooking to be your guide. We have all these authorities outside ourselves telling us what is “true” for us. And that “truth” keeps changing, which only adds to our confusion. One day “they” say coffee is bad for us, yet today “they” say it helps prevent heart disease. So we decide to drink coffee because heart disease runs in our family. And, we also accept the reality that our genetic history predisposes us to certain weaknesses and illnesses. All these thoughts we attend to help create our reality. What if we consciously begin to choose positive and affirming thoughts about what we eat? What if we begin to ask ourselves how we feel about the foods and recipes we choose to cook and eat and feed our families? Are there any memories or stories around these foods that we enjoy? These narratives engage our whole spirit. From these stories, we discover the positive affirmations associated with the foods in our lives. Positive affirmations are short, positive statements that target a specific subconscious set of beliefs to challenge and undermine our negative attitudes and to replace them with positive self-nurturing thoughts. 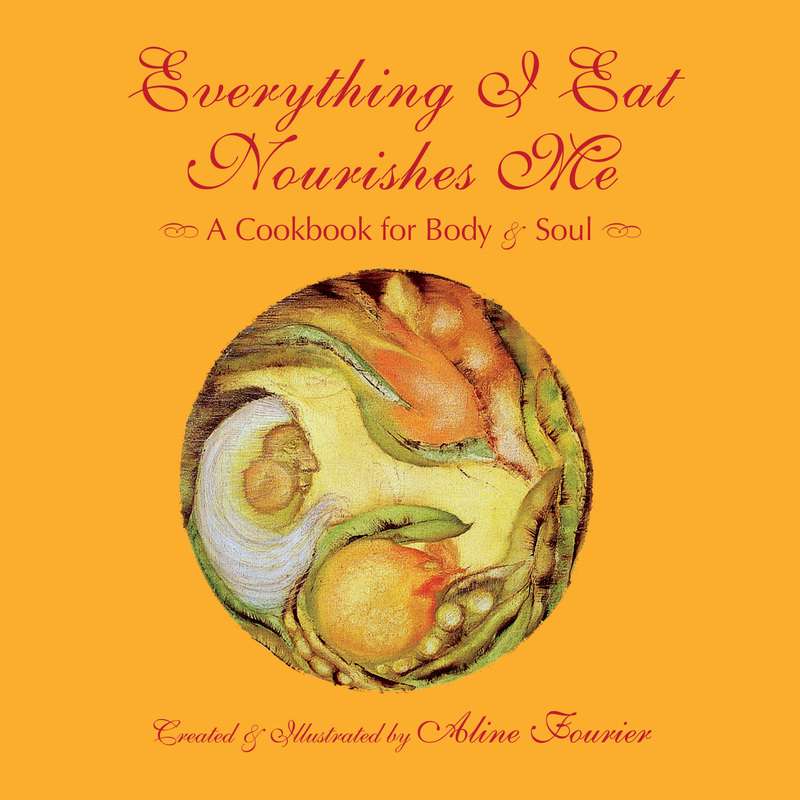 Many of the stories in this cookbook include affirmations that were inspired by the recipes. Each recipe section begins with an affirmation. There is great power in the positive thoughts that we create, as they can program our minds, sending messages to our bodies about nourishment and health. In my own life, I have struggled to come to a place that empowers, a place of inner authority. 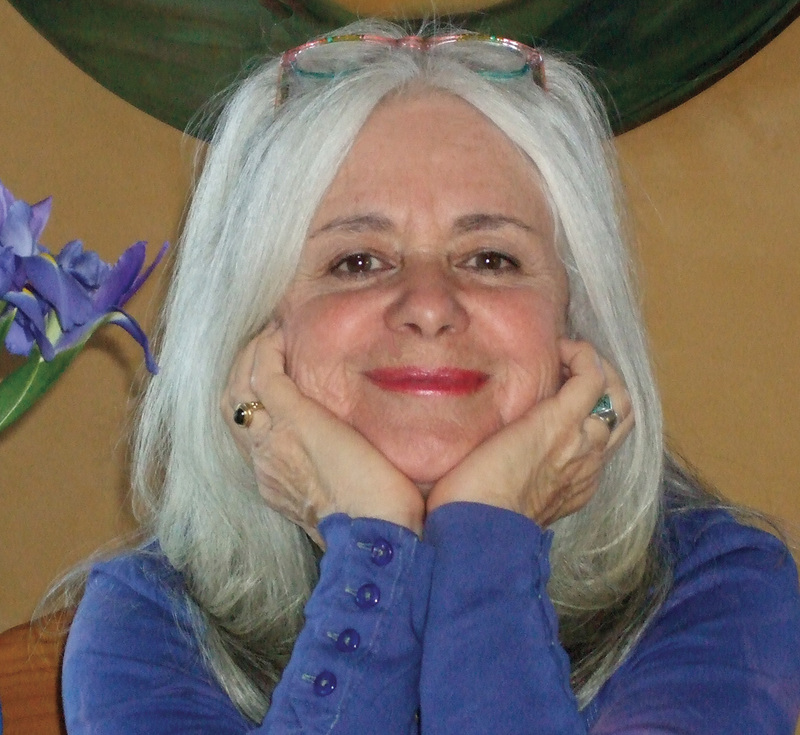 The affirmation and mission statement for my art, writing and living is: “Believing in myself to share what is borne inside.” To trust the voice inside oneself, the feelings that one has, and the “gut knowing” to feed ourselves physically, mentally, emotionally and spiritually, and to thrive, are the very basis of this cookbook. We are always looking to the “authorities” or “experts” to guide us in our choices, to tell us what foods are good for us, what foods help us with specific needs, and yet we already have the greatest authority with us all the time, our inner selves. Being the gatekeeper for our thoughts, and knowing what nourishes us, are acts of love, not creations of fear or judgment. You may ask, “How do I know what is truly nourishing for me? I love to eat chocolate, and I have been told that chocolate is not nourishing for me” – the grumblings of an outside authority. So, when you eat chocolate, you feel guilty that you are doing something wrong and that it will create disease in your body. And thus, you are eating those affirmations as well (guilt, punishment, and disease). At the same time, what is your attitude or feeling about chocolate beyond what you have been told? – the truth of an inner authority. I love dark chocolate and feel it is a rich, delightful and passionate food. So, when I indulge in a piece of chocolate, I am affirming that “I am rich, delightful and passionate.” It is no longer a forbidden fruit that conjures up all the negative, judgmental attitudes, and thus, I do not take in guilt and feel as though I have to sneak it in excess. More recently, those “outside authorities” have declared that chocolate is indeed healthy for us. How much confusion this causes us, and in this confusion, we lose our ability to make choices that are right for us individually. This is a perfect example of how trusting ourselves and our own inner knowing is empowering. The outside world may change its view toward foods and diets, but our inner knowing has the true power to create nourishment. When we go to the deepest sources of our nourishment, that primal place of our emotions and thoughts (physical, mental and spiritual), we become more connected to our body and we can hear its needs and messages. We are taking responsibility for our own well-being, based on our individual needs and truths. Stories are clues and guides to our deepest sources of nourishment. They come from the heart of our nature and speak with great authority about what is meaningful to us. They are our personal authorities, because they are our personal experiences, rich with all that connects us to life. we eat and not suffering? Enjoying what we eat means that we are taking in enjoyment. If we eat from worry or fear, we are also eating the worry and fear. If we truly think about what foods we place in front of ourselves and if they evoke loving and pleasurable thoughts, we are eating that love and pleasure. Bon Appetit!